Isaac George is responsible for Employee Relations, Recruitment and Training for all Wipro Infrastructure Engineering businesses. 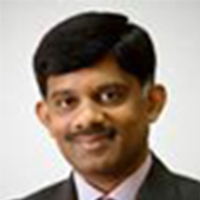 He joined Wipro after his management degree in 1992. Isaac held several positions in Sales & Marketing, Quality, Consulting and Operations in the Information Technology (IT) business of Wipro Limited before moving to Wipro Infrastructure Engineering in April 2014 as head of Human Resources. Isaac also leads the disability initiative for the Group. He has evolved Wipro’s Persons with Disabilities initiative and is a trustee with Wipro Cares, an employees’ social initiative.